Badrinath temple is located in a small plain area sorounded by snow capped hills at an height of 3133 meter. This 15.25 meter temple is located by the side of the river Alaknanda ( Rishi Ganga ). Behind the temple there is the hill named Nara Parbat ( Nara Hill ), back of this hill is the snow capped peak of Neelkhant. This majestic Neelkhat peak adds lot of beauty to the surroundings of the Sri Badinath temple. The source of Alaknanda river is Alkapuri glacier located at a distance of 16 KM from Badrinath. Badrinath Dham is located at a distance of 525 KM from Delhi & 296 KM from Rishikesh. There is no entry fee to the main temple. There is a queue arrangement to handle the devotees during peak seasons. There is a hot water spring near the temple. It is very difficult to walk bare foot inside the temple complex particularly during the starting of the winter months ( before closing of the temple ) for the pilgrims from plain areas who are not accustomed to cold. There are good restaurants available outside the temple. Nambudiri of Kerala, ( Namboothiri ) are hindu Brahmins. 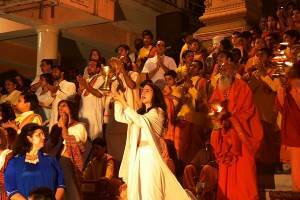 Adi Sankaracharya had appointed some of these Brahmins to perform pujas here. They are known as Rawal. 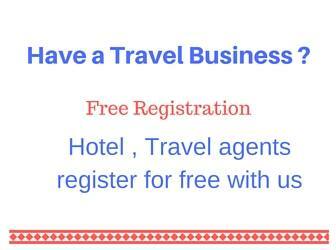 There are many hotels, dharmasalas ( free accommodation for pilgrims ) to stay . Just before the temple there is a big market selling various puja and stationary items. Woolen dresses, handicrafts, gift items, bangles are some of the items tourist buy from here. 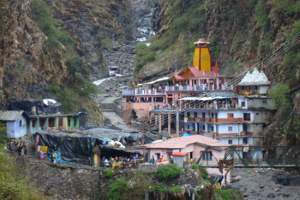 Joshimath is the entry point for Sri Badrinath Dham or temple town. Badrinath Dham ( temple ) is located at a distance of 43 KM from JoshiMath. The journey will take around two hours. This road is highly dangerous road and traffic is controlled by allowing vehicles in batches from both sides. Timings for vechiles to start from Joshimath to Badrinath is 6.30 AM, 9.30 AM, 11.00 AM, 2.00 PM & last batch at 4.00 PM. At the same time vehicles are allowed to start from Badrinath to return to JoshiMath. Vehicles are to be in queue for upward journey to Badrinath at Joshimath. Same timing is maintained at Badrinath side for down ward movement of vehicles. . After traveling 21 KM from JoshiMatha there is a check post where vehicles from one side is stopped and vehicles from return side is allowed to pass. This is to avoid crossing of up & down vehicles in the narrow hill road. Plan your arrival at JoshiMath to match the gate opening time for batches to travel. While your vehicle is in queue at Joshimath you can have your food and visit the Narasingha temple located by the side of the gate. 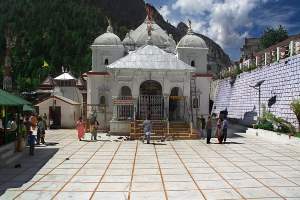 This is the temple where the statue of Badrinath is brought down during the winter season ( after Diwali festival ) as the Badrinath road is closed as this area became inaccessible because of snow fall and sever cold. 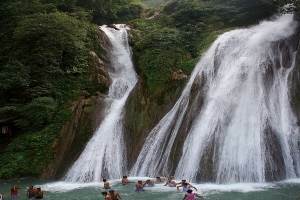 Tapta Kund is the name of a hot water spring just by the side the Badrinath temple and Alaknanda River. 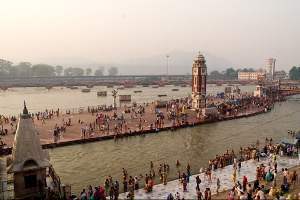 Pilgrims take a dip here before going for Darsan ( Visit ) to the holly serine of Sri Badrinathji. There are five stones known as Panch Shilas around this Tapta Kunda. There names are Narad, Narsingh, Barah, Garur & Markandey. These shilas or stone blocks have legends associated with based on the Hindu religion. This hill at a height of 6597 meter, located behind the temple will never go unnoticed by any visitor to this place. This is a shining pyramid visible from almost all parts of this small temple town of Sri Badrinath. It is advisable to take photo or enjoy the beauty of this snow peak during early hours of the day. This peak receives the first sun sine and it colors changes from golden in early morning to white as the day progress. Afternoon time as the chance of weather change is more this hill may not be visible. This peak is popular among mountaineers. This village known in Hindu scriptures as Manibhadrapam is located at a distance of 3 KM north of Badrinath Dham ( temple town ). The village is the last village in Indian side of the border. There is a post office and restaurants are there to server you coffee, breakfast dinner etc. At the end of the village the tea shop proudly display the last tea shop of India. It is a different filling to drink tea at the last shop of the country. The villagers mostly Rajputs and Marchyas had lost ties with Tibat. Like others these villagers moves down to Joshimath or Chamoli in winter when thick snow covers all these areas. There are two caves towards the end of the Mana village one is Ganesh Gumpha ( cave ) and other one is known as Vyas Gumpha . From Mana village climb up the steps and you will reach near these Gumph within ten minutes. This is the cave where Rishi Vyas composed the Mahabharat and gave the words of Lord Sri Krishan in the book Bhagavat Gita. For a casual visitor it will take 30 minutes to go round the village and caves including 10 minutes for a cup of tea. If you have time and energy then you can visit some more places around the temple. Some of them are Sesh Netra, The temple of Celestial Nymph-Urvashi, Chanrapaduka, Braham Kapal ( Here Lord Shiva get ride of the unwanted head), temple of Mata Murti. Carry your woolen ( heavy ) clothes as this place became very cold in afternoon. Occasionally there will be rain or snow fall in the afternoons . If you are going in late October then carry heavy woolen cloths as chances of snow fall & temperature going down is there. It was 9th of Oct when we were there. So evening was bit cold we prefer to stay inside our hotel. There are plenty of hotels of all ranges available in this small temple town. Morning we wakeup to find that there was snow fall in the night. All peaks around us were covered with snow. It was a very beautiful. Our plan was to start at 9 AM as soon as the gate opens so we left for Mana village at 7.45 AM. 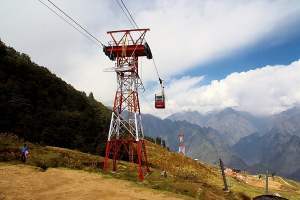 We left Badrinath Dham at 9.00 PM and reached at foot hill of cable car to Auli ( Joshi Math) at 11.45 AM. There is a strong presence of Reliance at Badrinath Dham town. Reliance mobile (RIM) mobile tower is there and you can browse the internet by using Reliance Data modem card. Other than Reliance BSNL and Idea mobile services are available at Badrinath Dham. However BSNL signal was even available throughout the road upto Badrinath Dham. i wnt to know the charges of direct buses from delhi to badrinath ur r provinding these kind of services or not and the charges. Thanks for one of the best blogs Its truly incredible, aesthetically gorgeous.